We are a high-flying name in this arena and thus, strive hard to deliver the best in class products to the clients. Also, we source the basic material from the reliable places. With the assistance of skilled professionals and high-grade packaging system, we can easily furnish customized packaging requirements of the customers. 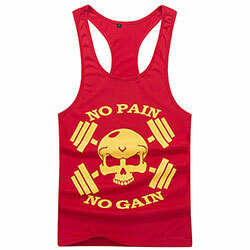 WB-702 Gym Vest is made of the finest quality fabric and is available in different color options.